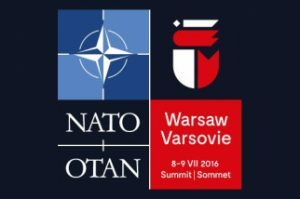 NATO Summit will take place on 8-9 July, 2016 in Warsaw, Poland. Polish president Andrzej Duda announced that NATO bases in Central Europe are a priority for this Summit. At the Warsaw Summit, NATO will enter the next phase in its adaptation. “During our summit in Warsaw we will decide on further strengthening our military presence in the eastern part of the Alliance. We will send four rapid, multi-national battalions to Estonia, Latvia, Lithuania, and Poland. I welcome Canada’s declaration that it will lead one of the battalions, just like Germany, the United Kingdom and the United States” said NATO General Secretary, Jens Stoltenberg. Stoltenberg confirmed that the summit will be followed by a meeting of the NATO-Russia Council. He noted, however, that a definitive date has not yet been fixed. Earlier, Moscow announced that the talks would be held on 13 July. This Summit is the first to be hosted in Poland and the first to be chaired by NATO Secretary General Jens Stoltenberg, who took up his post in October 2014.